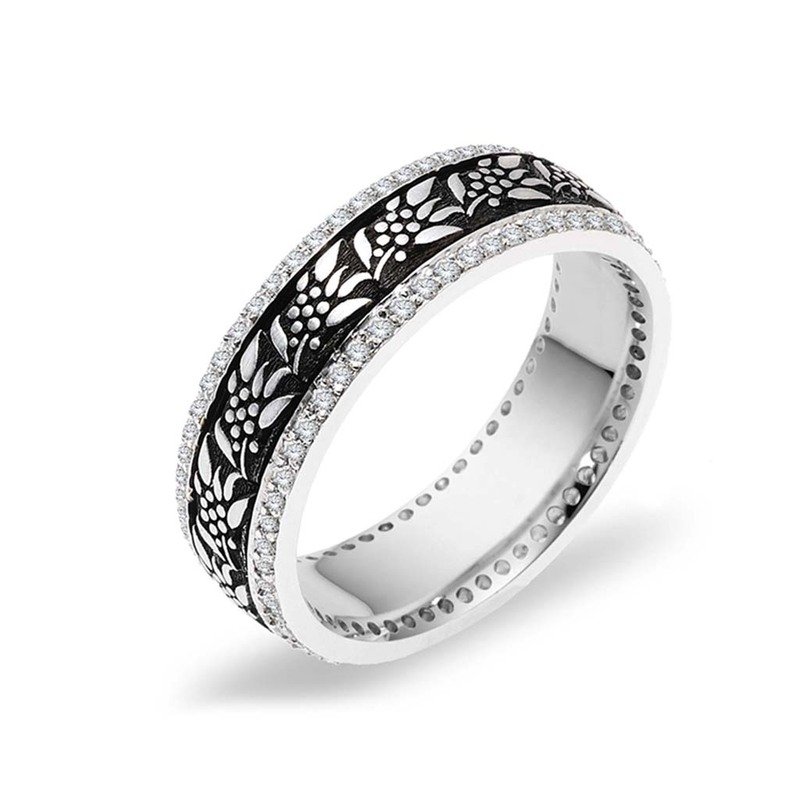 The six mm wide Roma wedding ring features a raised olive branch design against a black antique patina background. The design is flanked by two delicate bands containing 0.58 total weight of diamonds. Carefully crafted in high polish platinum,the Roma wedding ring is also available in 10 kt, 14 kt, and 18 kt white gold. If you cannot find what you are looking for using our filter, please contact us; most of our rings are completely customizable.